... well, this game doesn't have much to do with Scorpions, but if you ever wanted to become a journalist, a businessman or a wrestler, now is your chance! This little game is a blend of an RPG, a board game and, to some extent, a gambling game. You need to fulfill various objectives to advance your career, gain stats and work your way towards the top of the ladder eventually. It's a pretty simple game that was mostly finished a while ago, but for various reasons could only be release now. There are many games within this franchise, for all major consoles, but most of them are just straight-up board games instead. So, without further ado, have fun! 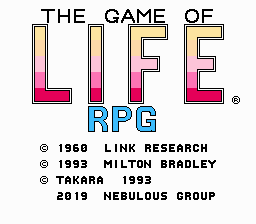 But I'm already playing Life, a grindy RPG, I don't want to do another. 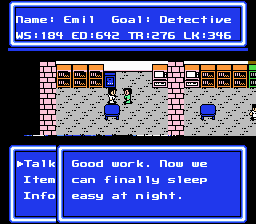 That's a rather grindy RPG, and it's easy to lose or your progress, whereas here - not necessarily. Well, most of them are board games because the franchise is a long-running Japanese adaptation of an American board game. Bizarrely I am only aware of exactly ONE American video game version of the game. I had no idea this existed. The unique concept of this one sounds neat. I'll have to give it a try. What a weird idea for a game. I'll have to check this out eventually.